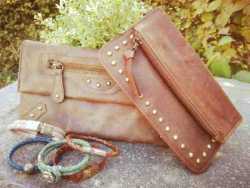 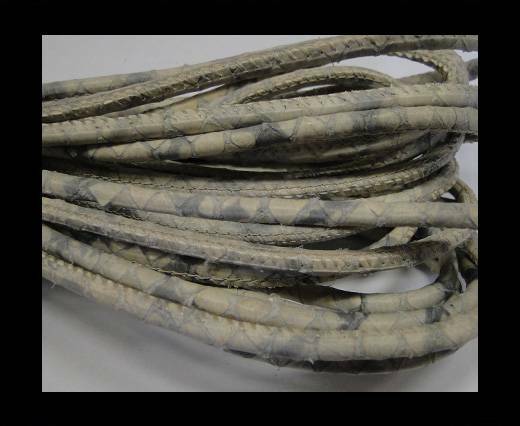 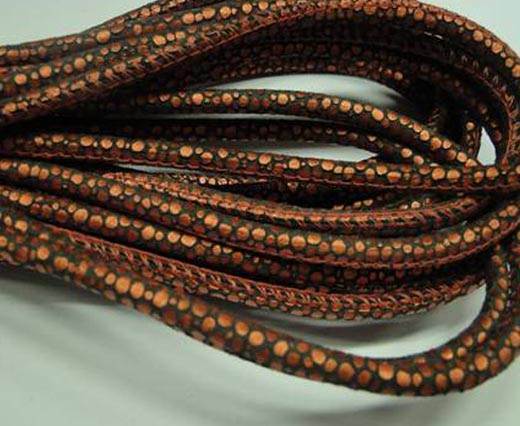 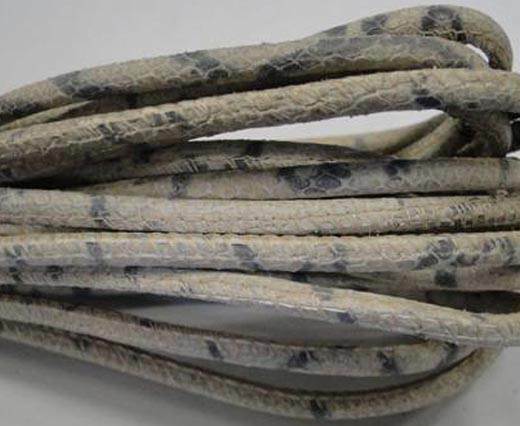 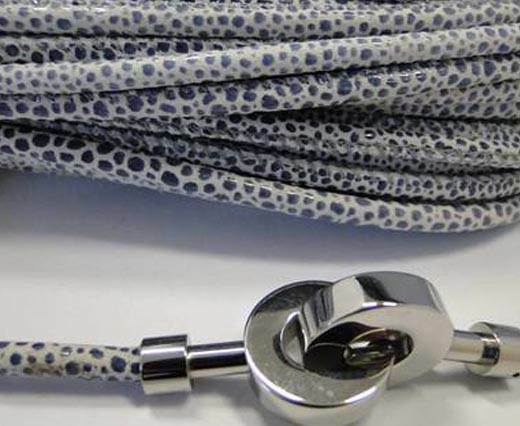 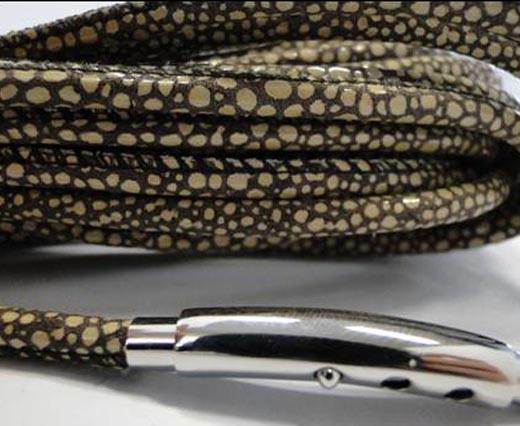 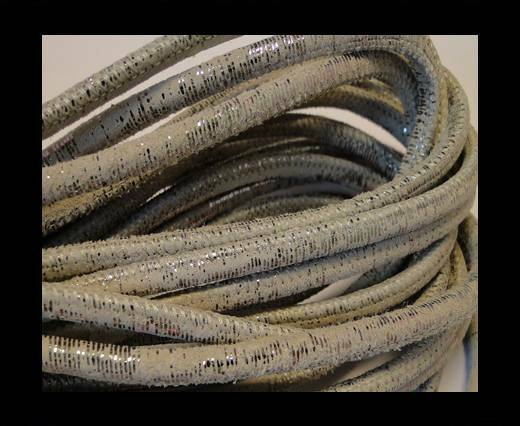 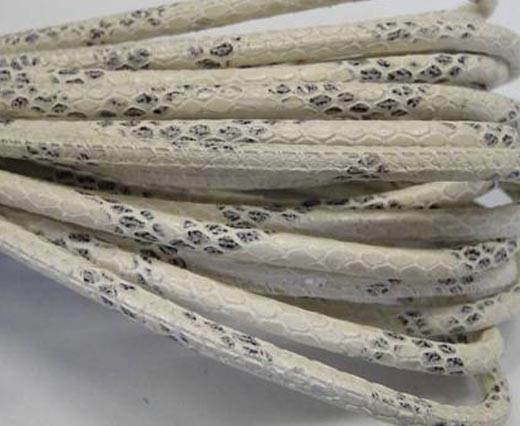 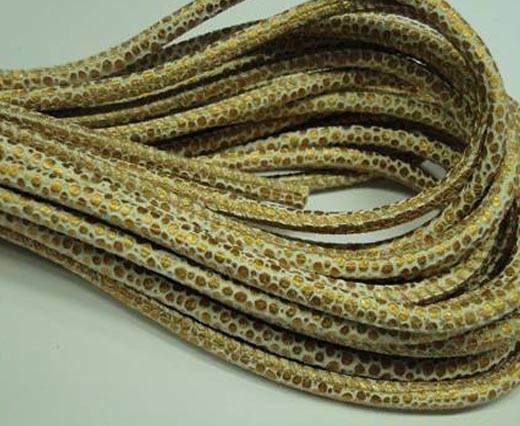 Sun Enterprises is proud of offering multiple styles of leather cords and laces with animal prints and designs. 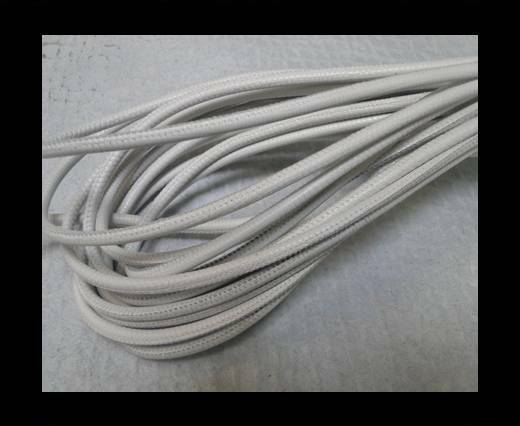 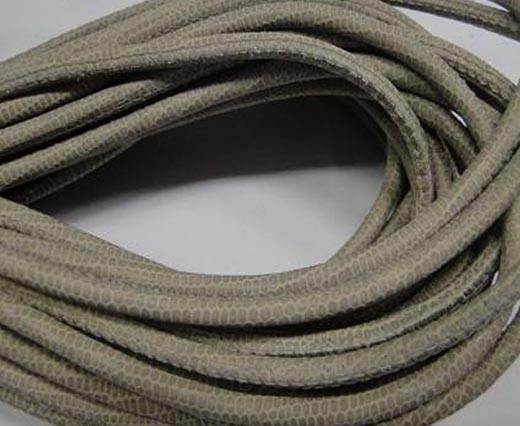 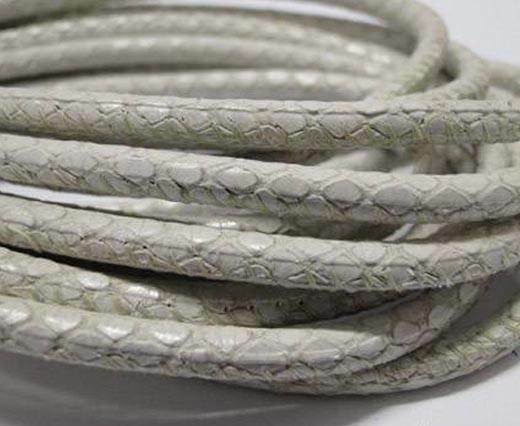 Take a look at our machine stitched round nappa leather cords in 4 mm in snake styles. 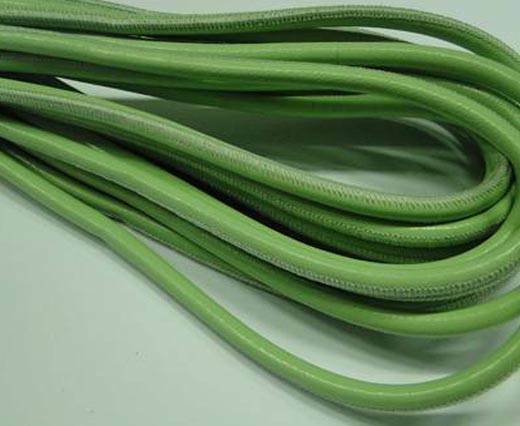 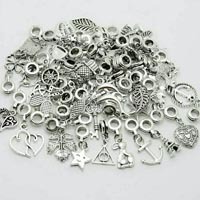 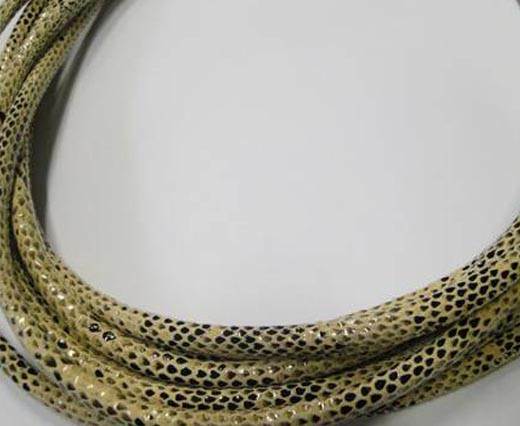 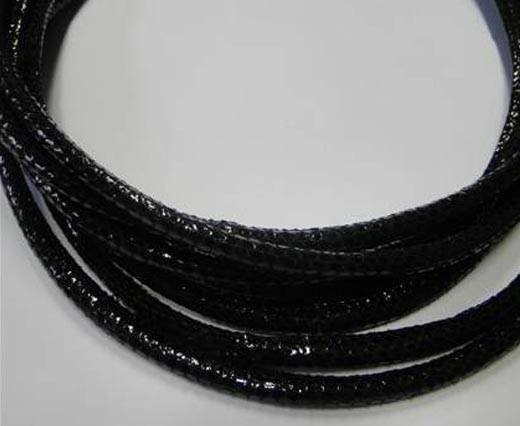 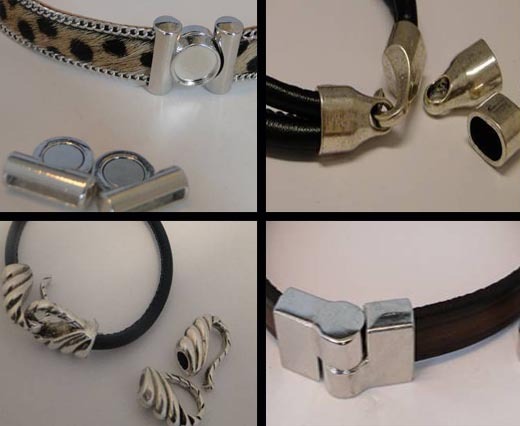 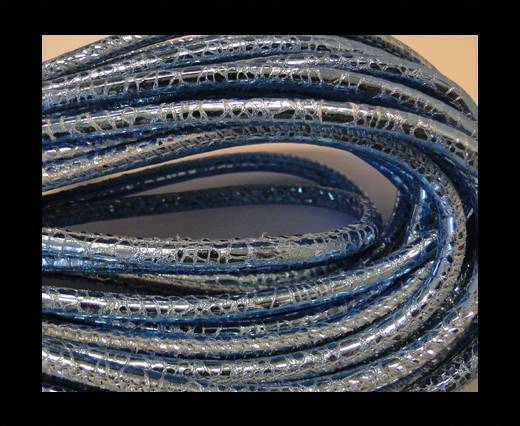 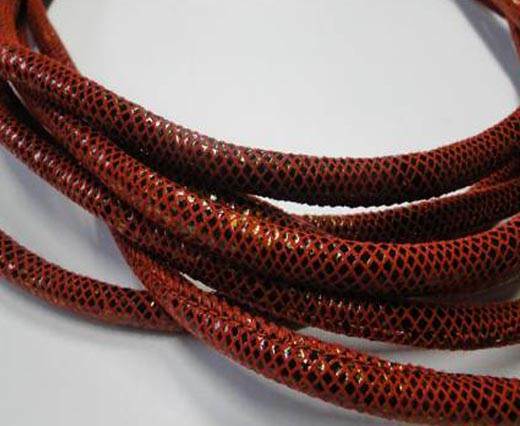 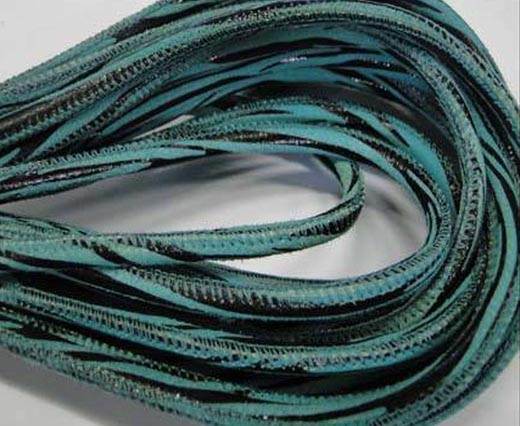 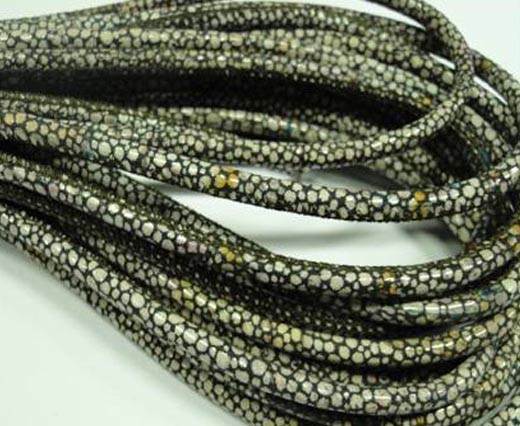 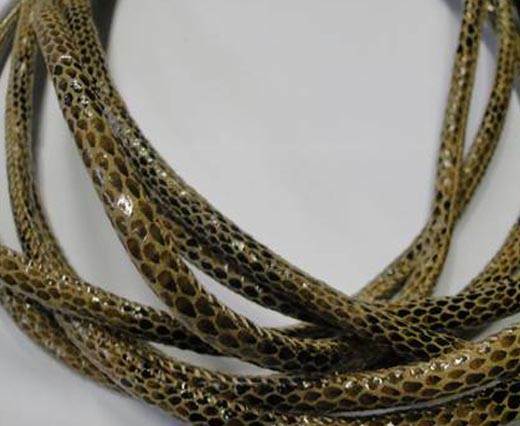 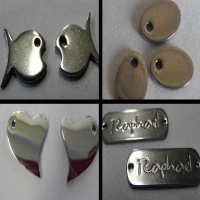 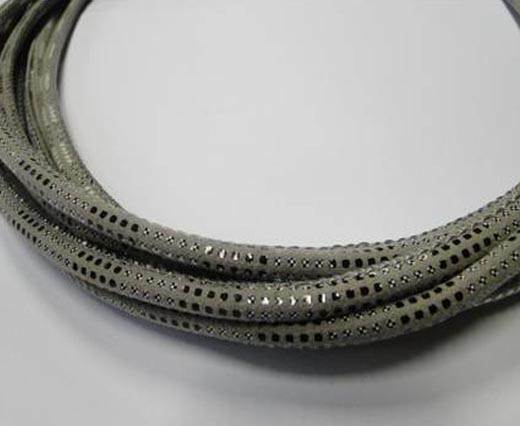 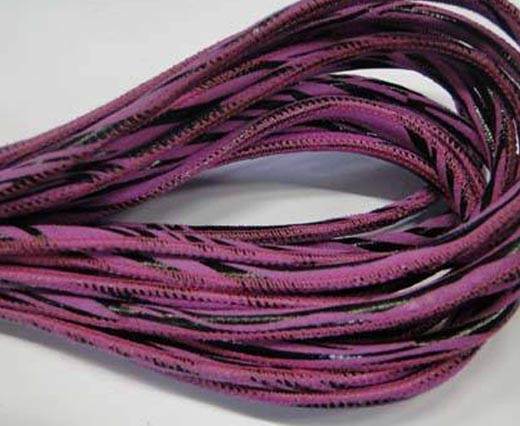 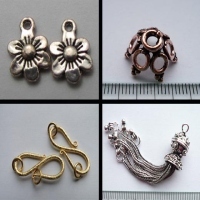 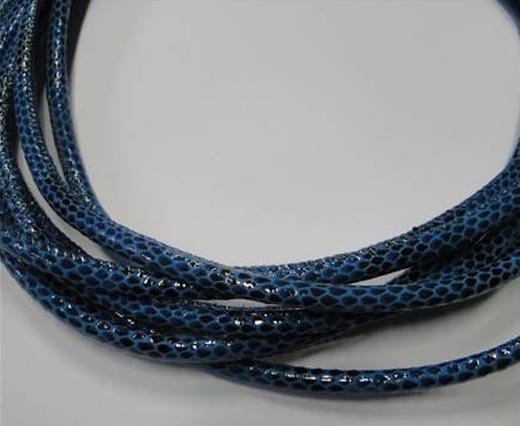 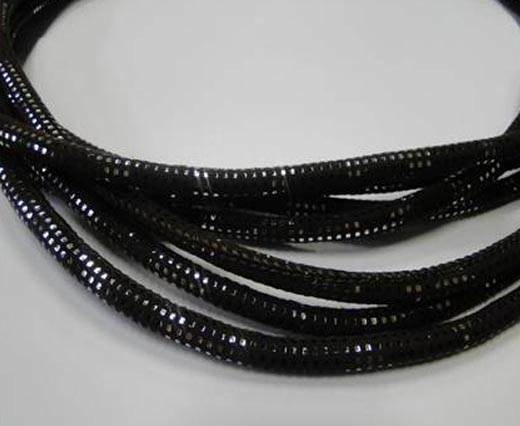 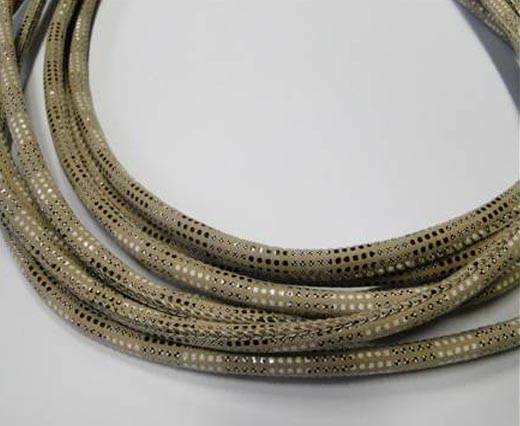 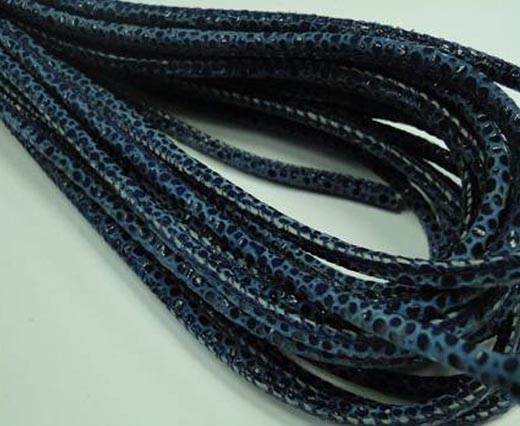 One of the most popular and commonly used Nappa leather article is the snake style, widely used in both flat and round shape, being extremely versatile and suitable to design both jewellery creations and fashion accessories\' collections. 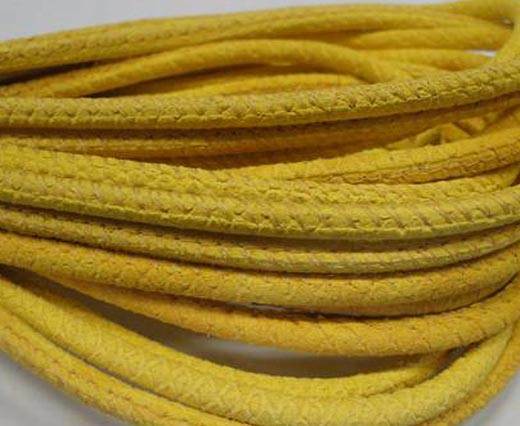 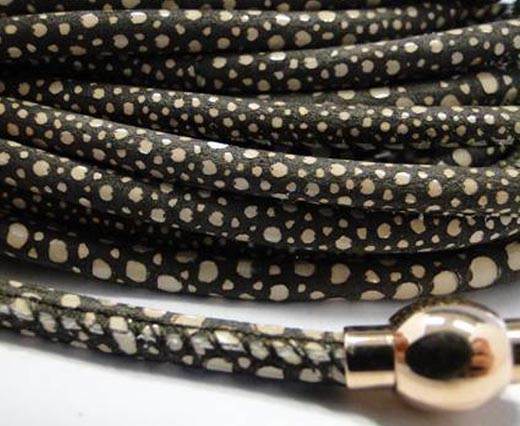 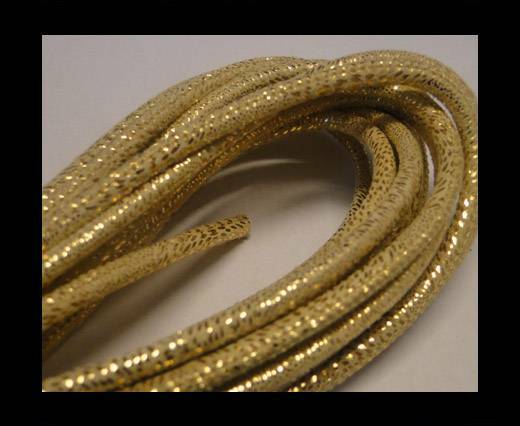 Our real Nappa round leather cords in snake style are available in 4 mm diameter. 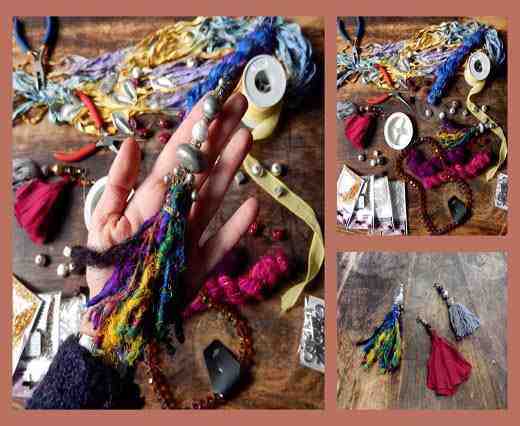 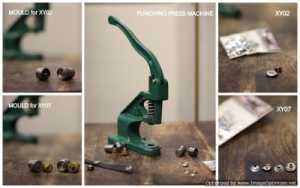 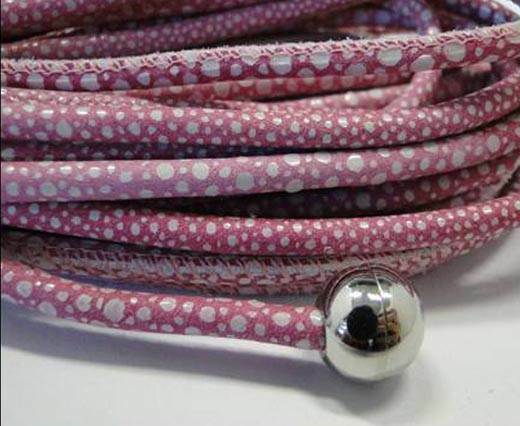 They are offered in multiple colours, including brown, black, gold, pink and green with their coloured shades. 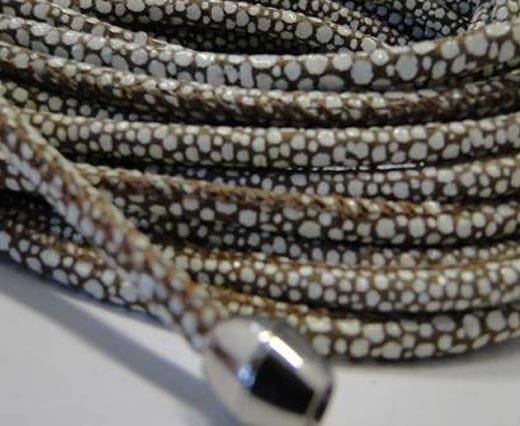 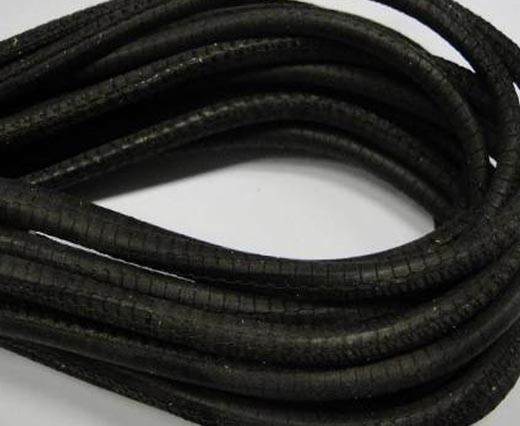 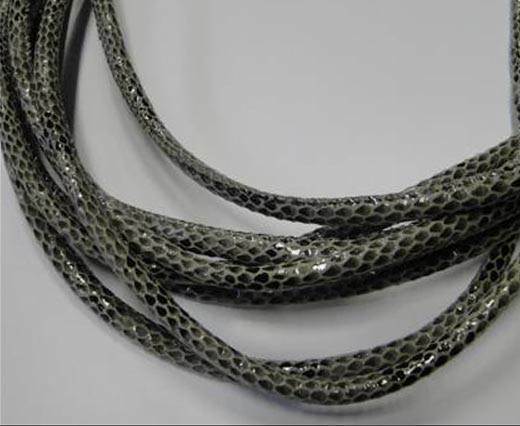 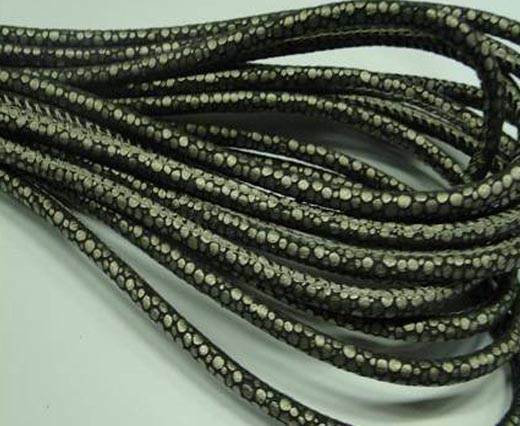 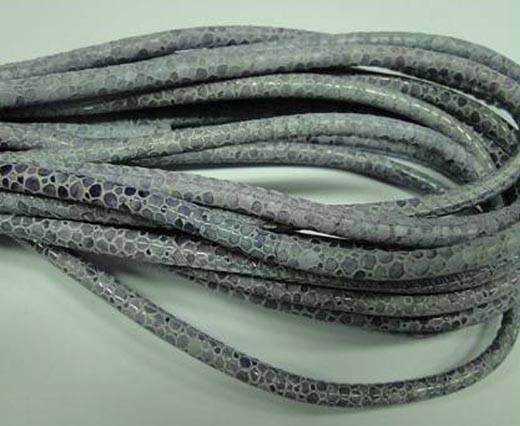 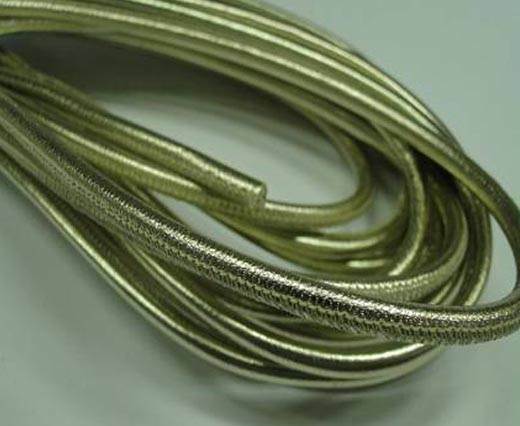 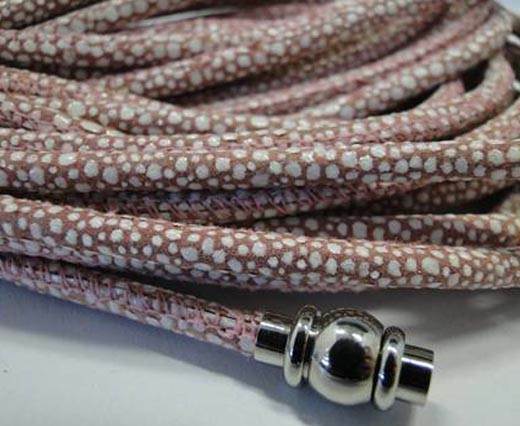 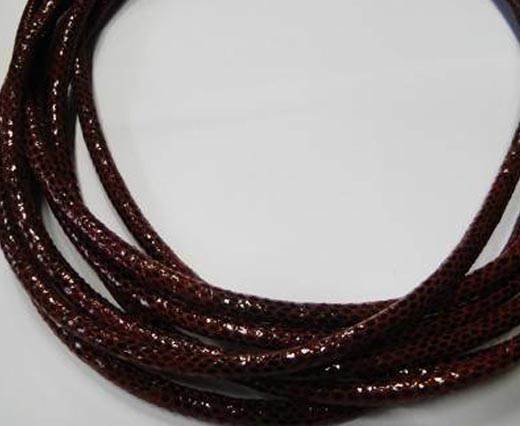 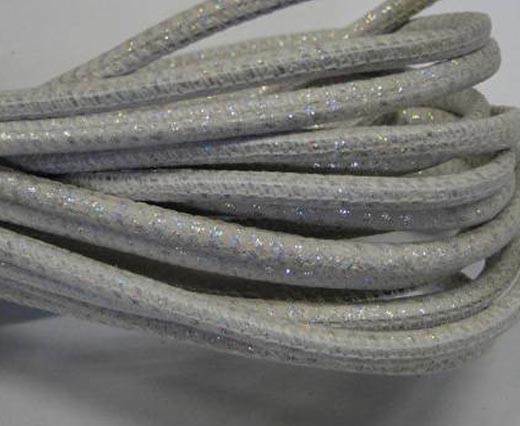 Our snake style Nappa leather in 4 mm can be easily used with our stainless steel locks, findings in steel and silver plated locks to create bracelets and other jewellery creations in different styles. 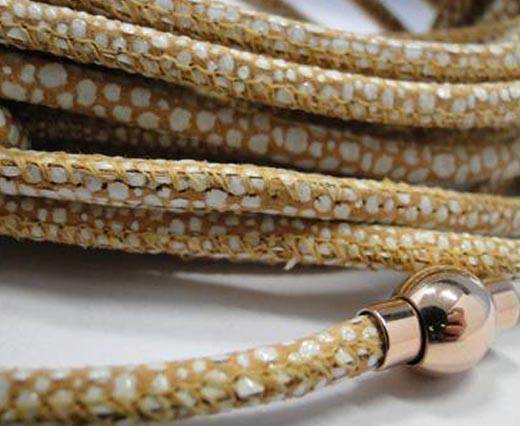 Another way of using our soft and precious Nappa leather laces is in combination with other styles of leather (braided, flat, round), suede cords, silk and hair-on.